← The Greatest Birthday Gift Ever! 41 and 16 in the Bag! A big thank you for all the birthday and anniversary wishes yesterday. Jen and I had a wonderful day with the girls. 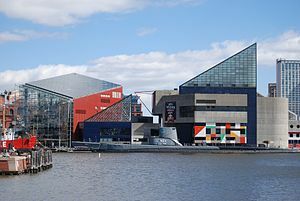 We went to the national aquarium in Baltimore then came home and made a dinner of crab cakes, steamed shrimp, and corn-on-the-cob. Perfect in every way. And now that 41 and 16 are in the bag I have another whole year to make every day a celebration of life and marriage. Posted on June 8, 2013, in Family, Life in General and tagged Anniversary, anniversary wishes, Aquarium, Birthday, corn on the cob, crab cakes, Marriage, national aquarium, National Aquarium in Baltimore. Bookmark the permalink. Comments Off on 41 and 16 in the Bag!.